Looking for some Constant Velocity tips from Mach3 users. Re: Any Mach3 users on here? I use Mach3 when 3D printing. Whats your Question? have you run into a stair stepping pattern in arcs and circles? I can make it worse with CV settings but have not been able to eliminate it completely. You can see it in this pic, mostly on the stomach of the blue pink panther woman in the background. Vertical pattern. 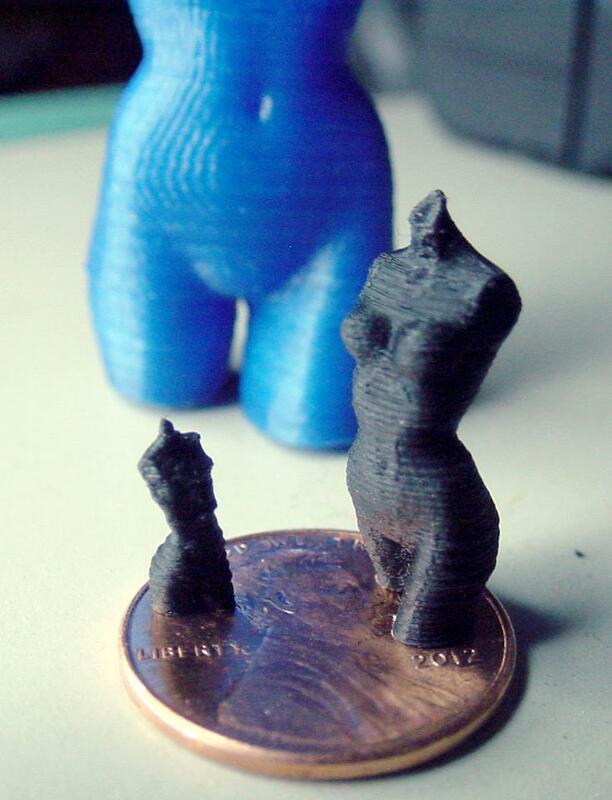 Got some tips from the Mach3 support forum, but still getting the pattern in my prints. Edited 1 time(s). Last edit at 12/23/2012 01:51PM by Dirty Steve. Was able to clean up the step signal a bit with a better timer capacitor on my TB6560 board.